I have repositioned and resculpted this model's back, stomach, front legs, hind legs and hooves, hips and hindquarters, and neck. I have attached a head from a different body and slightly resculpted its ears. I have carved out this model's ears. I have sculpted this model a completely new mane and tail. I have hand braided some coarse metallic thread and sculpted it into the model's mane and forelock. I have sanded this model's seams and removed her logo. 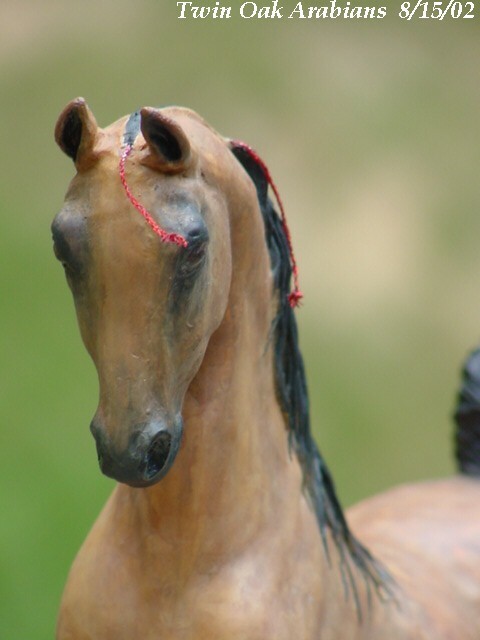 I have painted this model to an extreme smutty dapple buckskin with no white markings. I have sealed this model with a clear, matte Krylon finishing spray. I have glossed this model's ears, eyes, nostrils, and hooves for added realism. 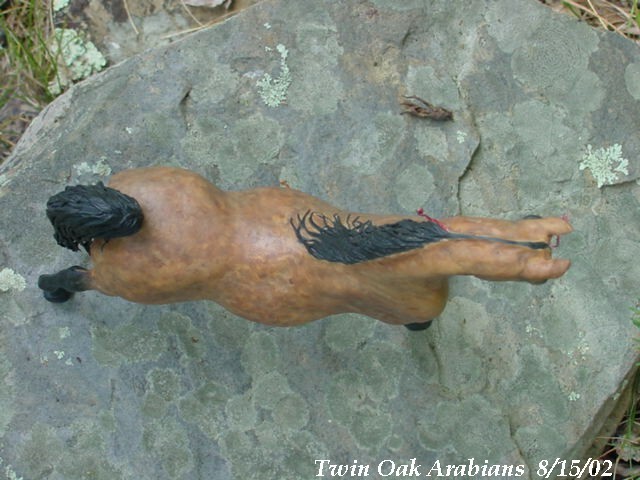 The picture of this model that is published on the new owner's website shows that this model's back feet are off of the ground. In that picture, the model was unfinished. The model was not sent to the owner in that condition and today the model does not look like it did in that in progress picture.